Hey ya’ll! 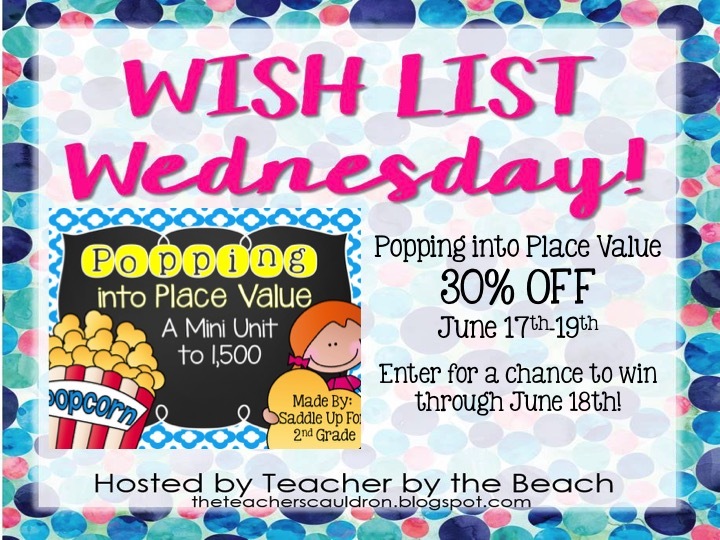 I’m linking up with Teacher by the Beach for Wishlist Wednesday! 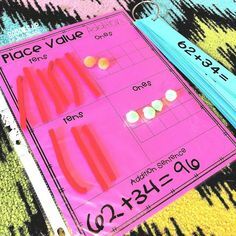 After checking out my TPT stats I learned that the most wish listed item from my TPT store is my Popping into Place Value Unit! 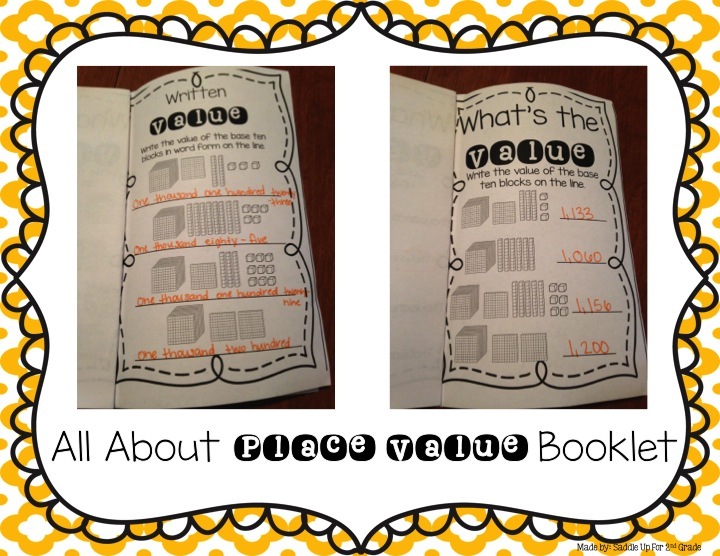 I was so excited to see this because it is one of my most favorite things that I’ve created. 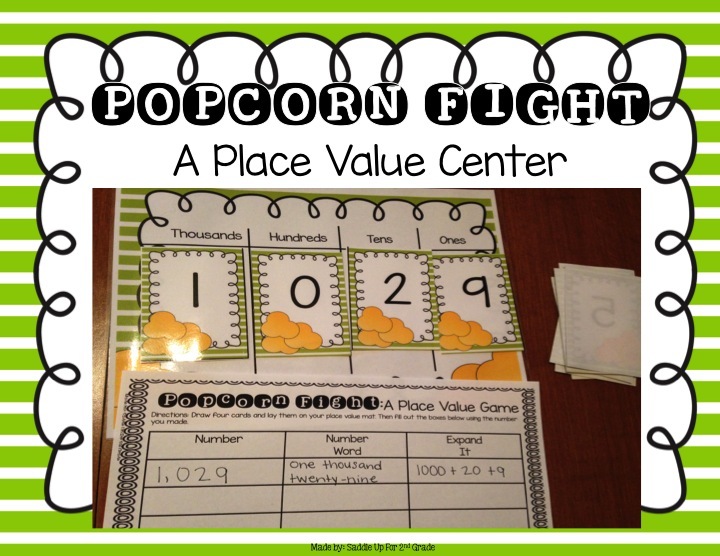 It includes everything you need to teach place value up to 1,500! 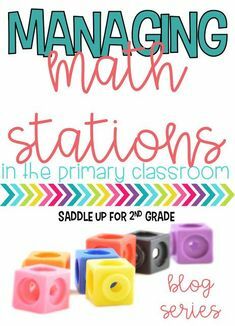 There are anchor charts, task cards, centers, flip books, hands on activities to get the students up and moving, activity sheets, a craftivity and more! 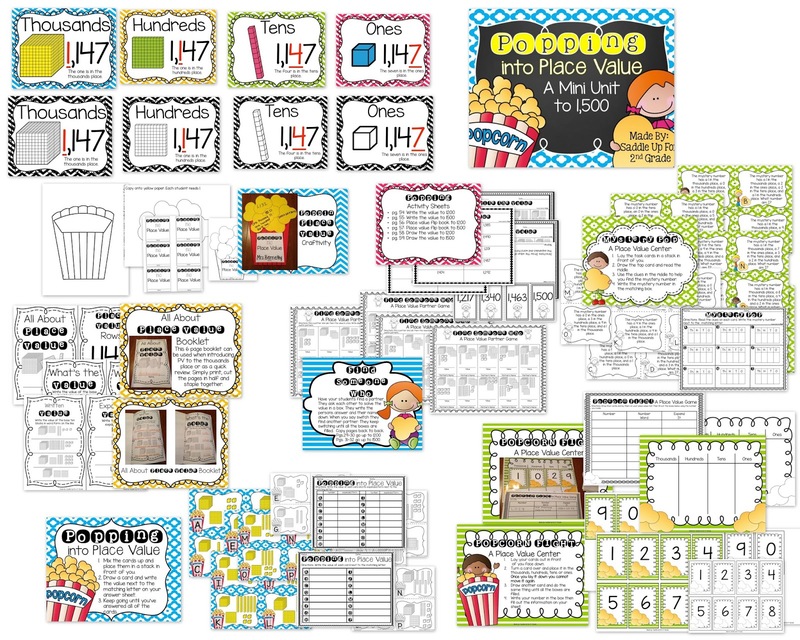 You can get a closer look at this unit by clicking here and you can grab a FREEBIE too! 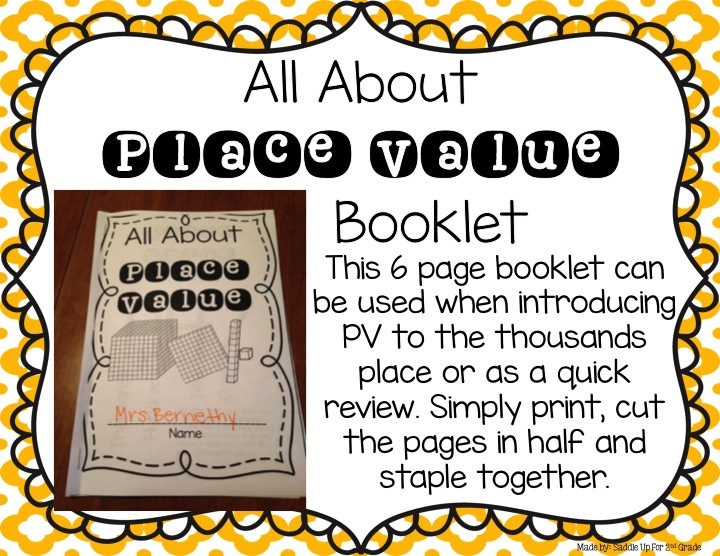 This PV booklet is perfect for introducing or reviewing the concept. 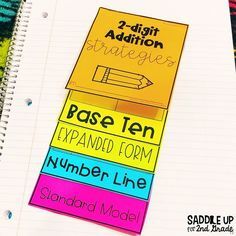 It can be used during whole or small groups. 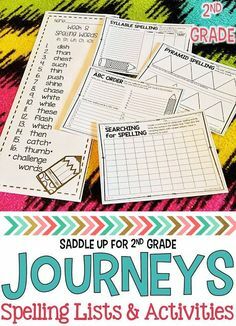 There are center activities to be used with a partner. 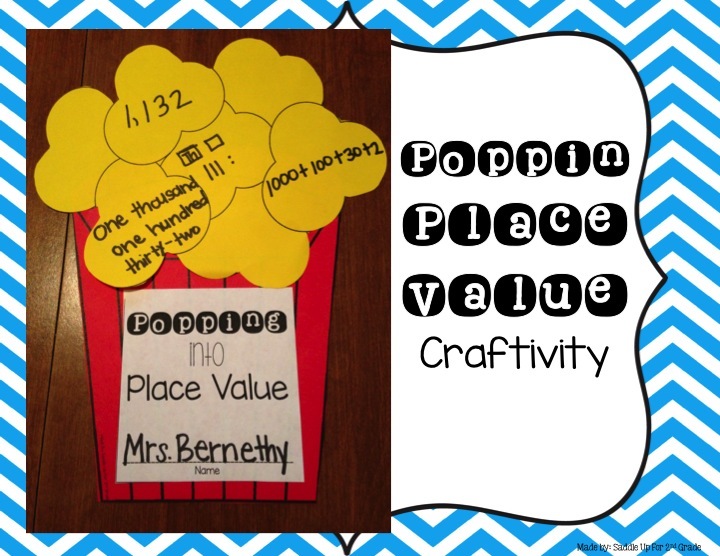 This fun popcorn craftivity is great for reviewing! 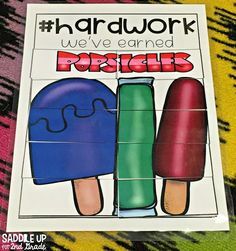 Want to WIN a copy? You can! All you need to do is complete the rafflecopter below. 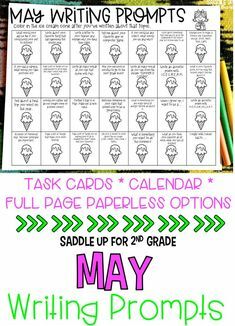 I’ll pick a winner tomorrow (June18th) night! Good luck! You can grab this unit for 30% off until Friday night!